A while back I remember reading someones blog about freezer staples. One of the things they regularly bought was frozen fruit. We grow and buy lots of fresh fruit but I’d never bought frozen fruit! Neat idea I thought and promptly started buying berry mixes. Since then frozen fruit has almost become a daily part of our food. 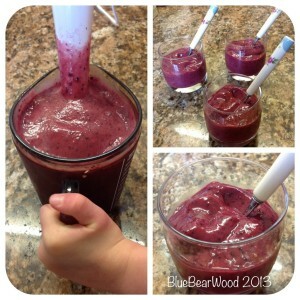 It makes the most amazingly quick sorbet come smoothie which we use as for breakfast and desert. Please don’t ask how many bananas we go through … I’m scared to work it out. 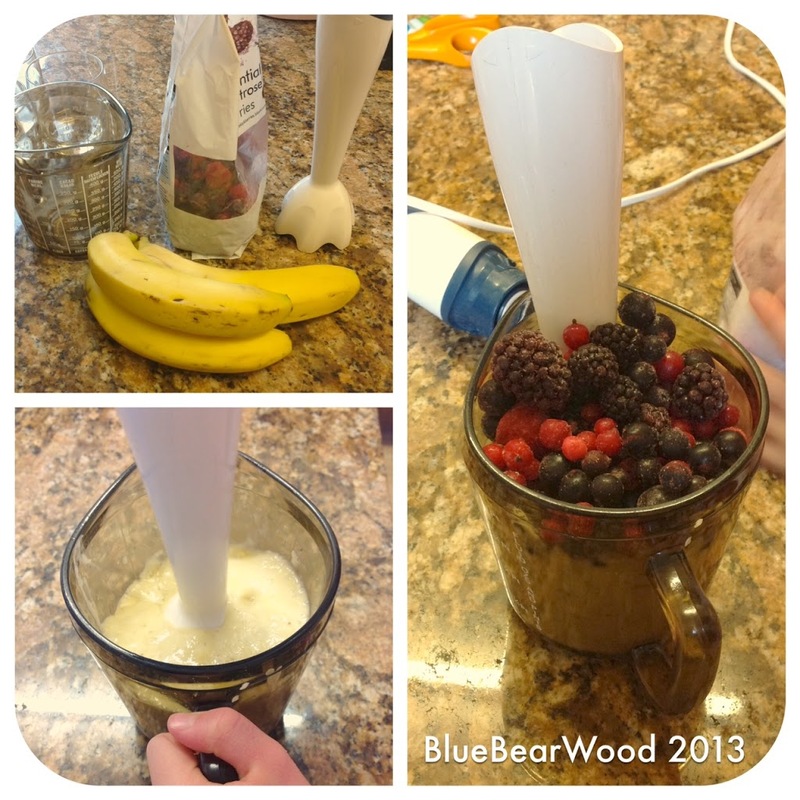 Frozen berries, bananas, big jug type thing and a blender. 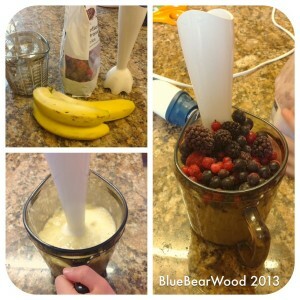 Peel your bananas and whiz them up in your blender. Add your frozen fruit and give it another whiz. This creates a lovely thick cold fruit sorbet . 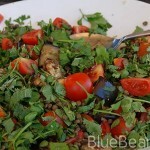 Pour it into bowls or glasses and add a spoon. Simple. I tend to use one banana per person and add fruit to taste. Add less banana if you want to make it more ‘tart’ in taste. If you want to thin it down and make it more of a smoothie drink then add some milk.